Dale Clark during the Historical Storytelling Program (May 17th, 2003). In past Florence Days, the Florence Mill hosted a Historic Storytelling Program featuring a historic figure retelling tales from a bygone era. 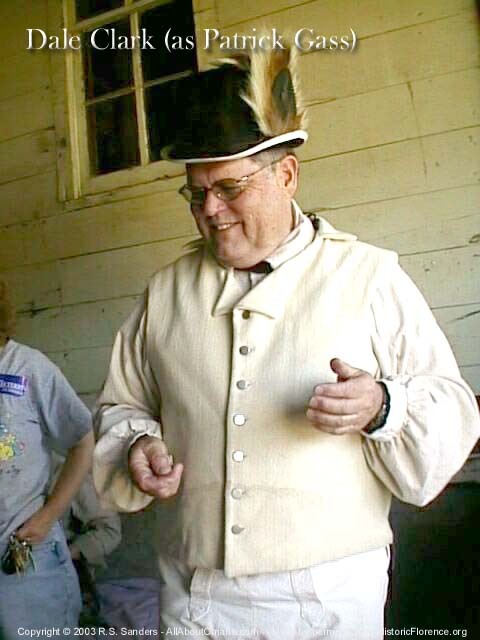 For the year 2003, Dale Clark portrayed Patrick Gass from the Corps of Discovery expedition led by Lewis and Clark.